Hi Freerunners, our next session is Sunday 3rd February. ​A full list of the confirmed sessions for 2019 can be found on the ﻿Sessions page. Looking forward to seeing you all again soon. 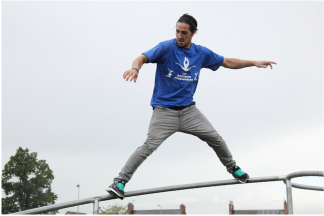 Joel our Senior Coach also teaches Parkour classes at schools in Cheshire and Shropshire as part of our Schools Partnership Program. If you would like more information on this scheme and other service we offer, please contact us by email. parkour. 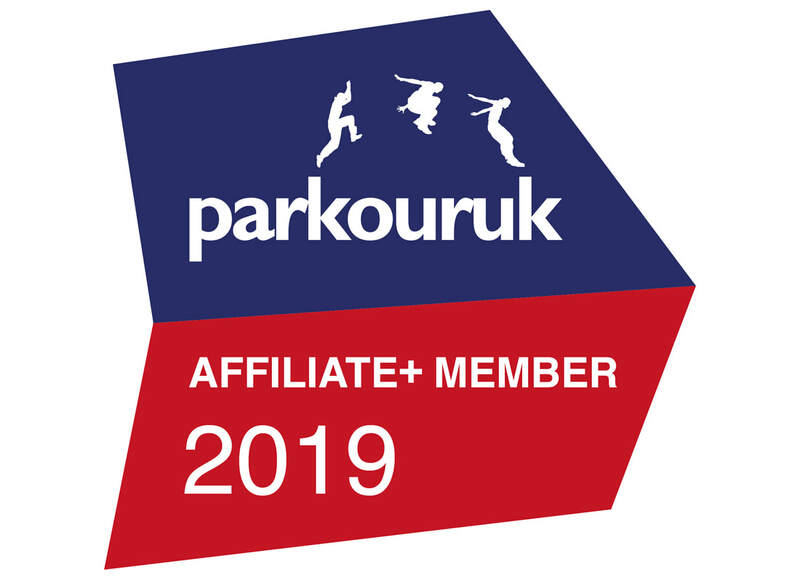 They have joined together with the aim of improving and increasing people's knowledge and enjoyment of the practices of Parkour and Freerunning in the Nantwich area. Our initial mission was to build a purpose designed freerunning park in Nantwich. This was accomplished in August 2012 ﻿when phase one of the park was officially opened by Daniel Illabaca. The park is currently the only one of it's kind in the North West and one of only a handful in the UK! The facility is actively used by local traceurs and forms a key element of our promotion of the activity in the area. The club meet regularly at the park and also at our weekly gym sessions, please check the sessions page for an up-to-date list of session times and dates. skill but is also great fun. ﻿﻿﻿Many of our members can witness to how their involvement in parkour has been beneficial to them both physically and mentally. Many also believe that practicing the discipline regularly helps them enhance their emotional well-being. But above all, those who engage in parkour, find it both challenging and fun. All images are copyright of their respective owners and may not be re-used in any format without written permission.